The name of the licensee on a government-issued identification card, if the licensee is an individual operating as a sole proprietorship. Trade Name and DBA. The terms “trade name” and “DBA” each mean the name in which the licensee actually does business as a contractor. General Rules about the Licensee’s Name. Any trade name used with that license. Name on the Bond. Every name on the licensee’s license must be on the license bond exactly as it appears on the license. Uses instead a trade name that does not include, reference, or suggest a scope of work that is not included in the scope of the license. Conducting Business Using a Name on the License. Any time a licensee conducts business in Arizona as a contractor, the licensee must conduct that business using either the official name of record or the trade name on the license issued by the Registrar. Rules about the Licensee’s Name at the Time of a License Application. Evidence of Official Name of Record. When applying for a license, the applicant must provide the Registrar with satisfactory evidence of the applicant’s official name of record. 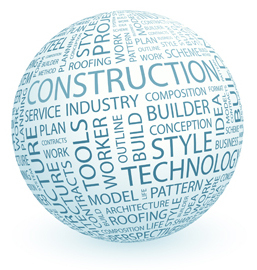 Conducting business as a contractor using any name on the license would, under A.R.S. § 32-1154(A)(15), constitute any false, misleading, or deceptive advertising whereby any member of the public may be misled and injured.